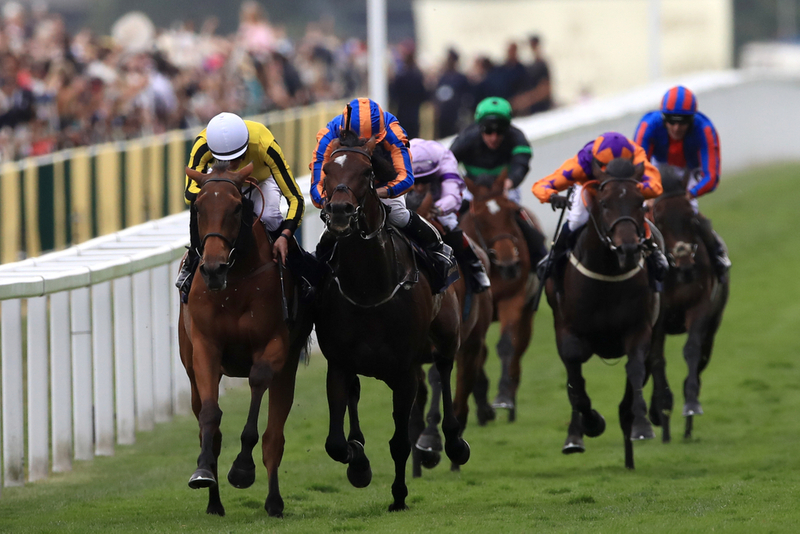 The first selection of the last day of the three day meeting at Newmarket comes through the Ed Dunlop trained Global Gift in the Class 4 Alex Scott Maiden Stakes over 7 furlongs. This three year old gelding, like many of the field, has only had one run and it was a performance that showed a lot of potential and scope to improve. He finished fourth fourth out of 13 runners in a Class 4 at Chelmsford on debut finishing in behind a smart winner who looks to be a serious type. If Global Gift can improve on his turf debut he could be a serious player. The next race of the day sees the Class 4 Novice Stakes over 5 furlongs and we have gone for the George Scott trained Strong Power who looks to be a very interesting juvenile. This two year old has only had one start to date and it was an impressive debut at Doncaster over this distance today when finishing second out of 17 runners. This was in a Class 3 and dropping back in Class for this race with the added bonus of already having a run this season should see this colt go very close. The third race of the day is the bet365 Conditions Stakes over 7 furlongs and in this Class 3 contest we have gone for John Gosden's Almashriq. This three year old colt is joined by Jim Crowley for the Hamdan Al Maktoum connections and looks to have a serious frame shout off the back of his debut run. On debut he went on to land a fair contest at Newcastle on the all weather and although that reads well he will need to improve in what looks a better race but from his pedigree it suggests he will and he holds leading claims from a top yard. Beringer is our selection in the Class 2 Handicap over 1 mile and this Alan King trained runner should flourish after already having his first run of the season. Beringer is a very consistent four year old who stayed on late in the day on his seasonal debut to pinch third place in a dead heat in what looks a decent race. Now going back into a smaller field it will suit him more and he has only finished outside of the placings once in his last five runs, which sets a good standard here. Coming towards the back end of the last of three day festival and in the feature race of the day, the Earl Of Sefton Group 3 Stakes we have gone for the Mark Johnston trained Elarqam. This four year old colt has bundles of potential but has only really shown it in glimpses, winning his first two starts back in 2017 but never really kicking on from there. Last season he raced in tough Group races and did not run to a bad standard but hopefully as a four year old being more mature and having more experience he can unlock his best runs. The penultimate race at Newmarket sees the bet365 handicap and in this Class 2 over 7 furlongs we have gone for the Jeremy Noseda trained Betty F.
This four year old filly gets the mount of Frankie Dettori which is always a positive but more importantly she has won over this distance before as a novice. She was last seen in August when she finished a good third at York in a big fielded handicap and if coming back in similar form from her break she should be in the mix. The last selection of the day comes in the Class 3 Handicap over 6 furlongs and in what looks a tricky contest we have gone for the Declan Carroll trained Abel Handy. This four year old gelding is a course and distance winner in a Group 3 on good ground and was very useful as a two year old. Had a tricky campaign as a three year old running well in defeat in big fielded events but now low in the weights can have a real crack at this race.